Hockey is a great game for nicknames. Consider ‘The Chicoutimi Cucumber’, the name given to goalie, Georges Vézina for his cool head in between the pipes for many a year in Montreal or ‘The Production Line’ used to describe Detroit legends Gordie Howe, ‘Terrible’ Ted Lindsey and Sid Abel of fabled scoring exploits. 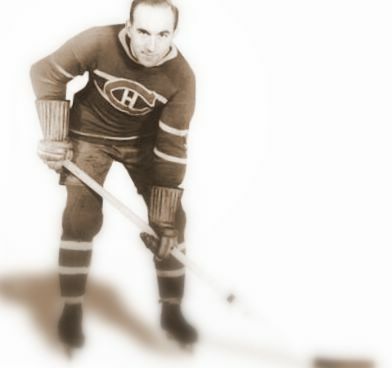 Howie Morenz of the Montreal Canadiens collected two such monikers in his all-too-short time in the game. When playing for his hometown Mitchell Juveniles, Howie quickly became known as ‘The Mitchell Meteor’ for his blazing speed on the ice. When he moved over to the nearby team in Stratford Ontario, Howie again earned a new nickname when in winning the Provincial title he became widely known as ‘The Stratford Streak’ for similar reasons. 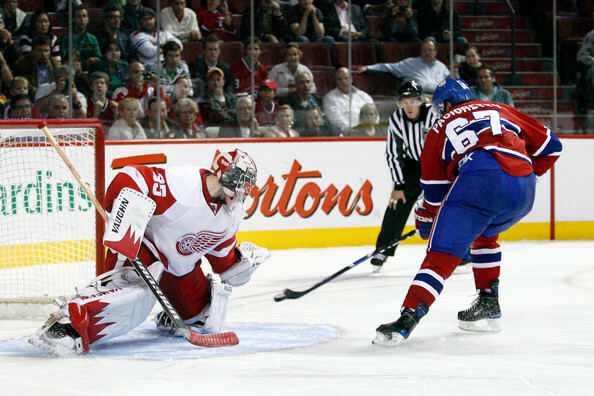 Montreal quickly got wind of Howie’s abilities and signed him on a two-year contract only for him to break his contract and head home to Mitchell, homesick. The Canadiens were not to be denied however and visited the Morenz family, placing the then huge sum of $850 on the Morenz kitchen table as a signing on fee. Howie was a Hab again. Canada ’08: It’s Hockey Time! I feel fortunate to be in British Columbia now that the hockey season is upon us. It seems (and is) only days ago that I was lounging by the pool in 25C temperatures, now the Weather Channel is now predicting snow for tomorrow. Fall is a fairly dynamic concept in this part of the world! As I write, a new theme for that great bastion of Canadianism, Hockey Night in Canada it about to be chosen imminently. The familiar original music that was a clarion call to the whole of Canada every Saturday evening during the Winter months has copyright issues surrounding it and can sadly no longer be used. Things change, but it seems a shame to lose this little Canadian institution. I was watching a little pre-season hockey on the TV and was rewarded greatly by a terrific game between Detroit Redwings and my own favoured sons, The Montreal Canadiens. A few fresh faces being iced by both teams saw an extremely fast run-and-gun type of game that was hugely entertaining. Happily (for me) after two goals each in regular time the Les Habitants ran out winners in a knife-edged shoot-out with some well taken strikes by both teams. Viva le Blau, Blanc et Rouge. late. It concerns one Roberto Luongo, the Canucks’ ace goalie being appointed captain of the team. It’s been fifty long years since Bill Durnan performed the same role for Montreal in 1947/8. At that time Durnan would reportedly leave his crease regularly to talk to the officials in his capacity as team leader. This caused the league to introduce a new rule that prohibits a goal tender from acting as captain or alternate captain on the ice, or wearing a ‘C’ on his jersey. The Canucks were being seen as teasing NHL bosses a little when Luongo appeared in a pre-season game against Anaheim with the ‘C’ not on his jersey but on the lower part of his helmet that protects his throat. When asked if the C stood for Captain, Vancouver boss Mike Gillis countered ‘it can stand for whatever he wants it to stand for’ presumably meaning that it may stand for Canucks as opposed to Captain. Though it sounds a trivial matter, and is in some ways, the NHL bosses harbour concerns that allowing a goaltender to carry out a captain’s duties and obligations on-ice will offer a team unscheduled and unfair time-outs. At this time, stellar goalie Luongo is not allowed to discuss calls with officials. This however surely calls into question how effective he can truly be as the leader of the Canucks. A touch more hockey then – the grand old game. I was reminded recently in discussion about the only NHL game I ever went to in Toronto – at the much lauded old Maple Leaf Gardens in the season when the Toronto Maple Leafs were about to vacate the ice there for the very last time. It was something of a pilgrimage then, one reason being that the old Nottingham rink I used to visit for hockey was built on a scaled down plan of the old Canadian arena. MPG, apart from hosting hockey for decades also saw the likes of artists as disparate as The Beatles and Tiny Tim appear there.